Let us review all the body processes that need to occur every time you eat food. From the time you start thinking of eating food your body starts the process or enzymes production to help you digest the food. After you swallow your body had to digest, convert and push volumes of food material through a 9-10 meters of tubing whilst absorbing the nutrients and expelling any toxins generated. This takes a lot of energy! During a short fast this energy is channelled to cleansing and healing the body. If we take a look at the eating habits of primitive man we will see that they did not eat 3 regular meals a day. In fact, they ate a lot less than we do today. It was common for them to go without food for several hours. During a fast you give your body a chance to rest. Your body uses this time to remove large quantities of wastes from your blood and cells. Evidence of this is often felt in the mouth where a thick coat can develop on the tongue or you may develop bad breath. As the toxic load on your body is lessened the efficiency of each cell is enhanced. Thus your body can more effectively get to work to heal itself. Short fasts vary from 8 hours to 3 days. Popular fasts include water only fasts, vegetable juice fasts, green juice fasts, fruit only fasts, raw fruit and vegetable fasts or vegan diet fasts. 18 hour fasts from bedtime until supper the next evening once a week are easy to do and are great for your bodies cleansing and regeneration. We recommend fasting on vegetable juice and green foods such as wheatgrass, barley green, Spirulina, chlorella etc. as this will provide your body with needed cleansing nutrients whilst at the same time giving your digestion a chance to rest. When making vegetable juice try to add in more vegetables, including green leaves, and less fruit. It is important to break a long fast on a light meal of fruit and/or vegetables to get your bowels used to food again and then slowly introduce more complex foods such as animal products and fats. It is recommended that you stop drinking caffeine or alcohol 1-3days before your fasts to prevent withdrawal symptoms and headaches. When you do a liquid fast longer than 24 hours your bowels will tend to cease moving. This is because there is no fresh food intake to stimulate peristalsis. If this is the case 1-2 enemas to be taken daily to cleanse the bowels and prevent food putrefying in the gut. 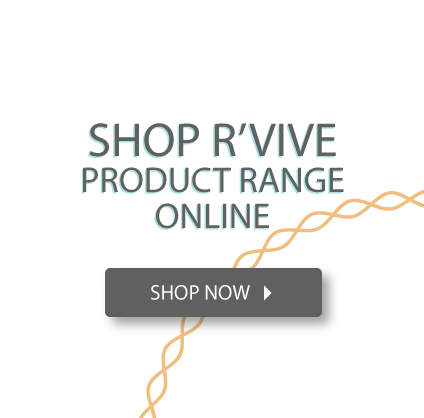 Alternatively you can use R’vive colon purity which will add some fibre so that bowel movements continue as well as absorb any toxins that are excreted from your body preventing their re-absorption. One last tip on this subject is to only eat when you are hungry. If you are not hungry at a meal time then you can skip the meal. Eating when you are not hungry places unnecessary strain on the digestive tract. Hunger is also needed to stimulate the production of a proper concentration of digestive juices.